The Board of Trustees of the Adirondack Museum has announced the selection of John and Margot Ernst as the recipients of the 2012 Harold K. Hochschild Award. 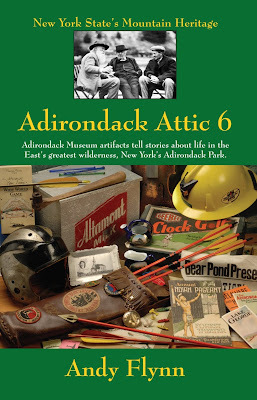 The Adirondack Museum will formally present the Ernsts with the award at the annual Gala Benefit on July 28, 2012. 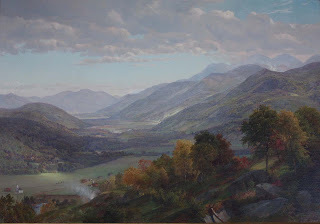 The Harold K. Hochschild Award is dedicated to the memory of the museum’s founder, whose passion for the Adirondacks, its people, and environment inspired the creation of the Adirondack Museum. Since 1990 the museum has presented the award to a wide range of intellectual and community leaders throughout the Adirondack Park, highlighting their contributions to the region’s culture and quality of life. &#8220On behalf of the Adirondack Museum, I would like to congratulate John and Margot Ernst on receiving this prestigious honor for their commitment and service to the Adirondack region,&#8221 said David M. Kahn, Executive Director of the Adirondack Museum. John and Margot Ernst split their time between New York City and Elk Lake Lodge, a family owned resort near North Hudson, N.Y., located in the 12,000 acre Elk Lake-Clear Pond private preserve, which National Geographic called &#8220the jewel of the Adirondacks.&#8221 John and Margot are involved in public service through their work with non-profit organizations in New York State and the North Country. Margot was co-chair of the committee to establish an endowment for the newly created News Bureau at North Country Public Radio. She is on the Board of Directors of the New York State Audubon Society and Secretary of the Board of Directors of the National Audubon Society. She is a member of the Rachel Carson Awards Council, which selects awardees and promotes education and information on the environment. Margot is co-chairman, with John, of the Board of Directors of the George Gustav Heye Center of the National Museum of the American Indian, Smithsonian Institution. She has served on the Board of Trustees of the Adirondack Museum and is a retired curator and Associate Director of the Japan Society Gallery. 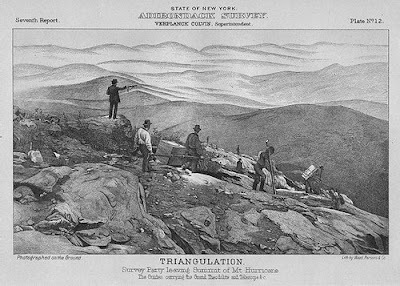 In addition, John and Margot have been active for some time in the future of the Adirondacks. In the early 1960s John’s grandfather donated the first conservation easement in New York State on the land surrounding their property on Elk Lake, preserving public access on trails to the Dixes and Panther Gorge and on to Mount Marcy. John was Treasurer of the New York League of Conservation Voters, is past President of the Adirondack Landowners Association and Treasurer of the Board Directors of the Adirondack Community Trust. John is a former chair and current Director of the Adirondack Council. He is on the Executive Council of North Country Radio, is a board member of the Adirondack Center for Writing, of the Open Space Institute and Adirondack Lakes Survey Corporation, a not-for-profit corporation formed to monitor and document the effects of pollution in the Adirondack waterways. John is also a board member of the National Museum of the American Indian, Smithsonian Institution. 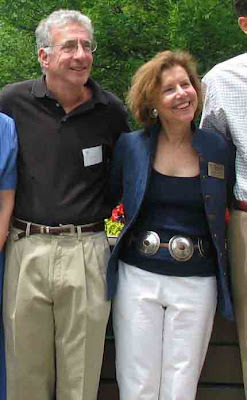 The Open Space Institute awarded its 2009 Land Conservation Award to John and Margot Ernst for their &#8220outstanding contributions in the fields of land conservation and environmental protection. &#8221 John Ernst received a 2011 Advocate Award from Environmental Advocates of New York. For tickets to the Adirondack Museum’s Gala Benefit, call (518) 352-7311 ext. 119.